Faith in Prevention is an initiative of the New Jersey Department of Health to expand the role of faith-based organizations in the delivery of health prevention services in New Jersey’s Camden County. Implemented by the Camden Coalition of Healthcare Providers, the goal is to encourage healthy lifestyle choices through policy, systems, and environmental change, and ultimately reduce the burden of chronic disease among communities of faith in Camden County. 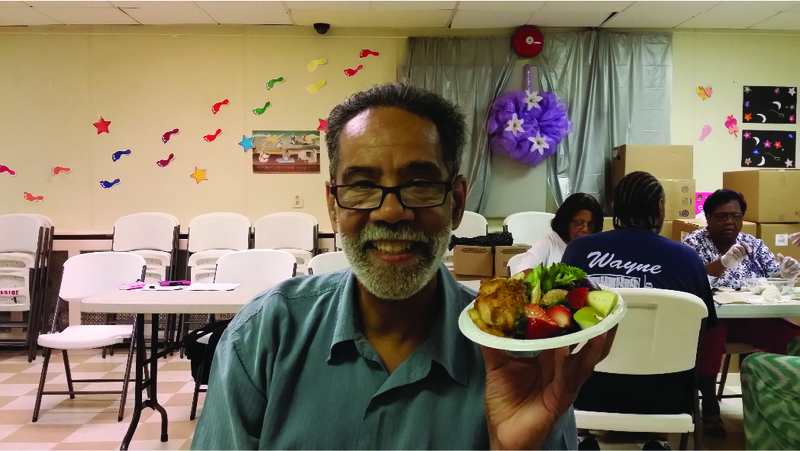 In 2015, nine Camden faith-based organizations, including churches and mosques, offered their congregations new exercise, wellness and cooking classes, through the community-based program Faith in Prevention. Using an evidence-based curriculum, Faithful Families Eating Smart and Moving More (Faithful Families), faith-based organizations can encourage and model healthy lifestyles in their congregations. Faith in Prevention is funded by the New Jersey Department of Health and administered by the Camden Coalition. Faithful Families is a practice-tested health promotion intervention that promotes healthy eating and physical activity in communities of faith. The Faithful Families curriculum is co-taught by nutrition and physical activity educators and trained lay leaders from faith communities in small group sessions. Lay Leaders bring the spiritual elements into each session, through discussion questions and “thinking it through” prompts in each lesson. Faithful Families can be used by any faith community. Promoting the connection between faith and health is important to the success of Faith in Prevention. As families move through the Faithful Families curriculum, they begin to consider how their physical health is directly connected to the faith they live out daily. Step 1: Click here to download the Faith in Prevention application. Step 2: Complete your application, including providing all required supplemental documentation. Step 3: Submit your applications electronically or hand-deliver your completed application to Maritza Gomez, Program Assistant at the Camden Coalition.